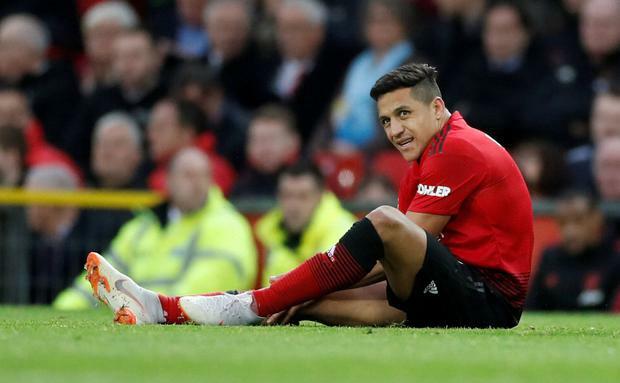 Alexis Sanchez will miss "between six and eight weeks" of what remains of Manchester United's season, according to the physio of the Chilean national team. The 30-year-old forward damaged ligaments in his right knee during Saturday's 3-2 win over Southampton at Old Trafford in a further blow to Ole Gunnar Solskjaer's already depleted squad. And early indications are that he will miss much of the rest of United's campaign, with the club teetering on the brink of Champions League elimination and just nine Premier League games remaining. Chile's biggest concern was that he might miss the summer's Copa America but their physio, Pedro Oñate, told newspaper El Mercurio that he will be fit for the tournament in Brazil. “We communicated with Sánchez, he has had his scans and that’s the injury – there will be no problems for him to play in the Copa América [this summer] because it will be six to eight weeks without playing,” Oñate said. Eight weeks out would mean Sanchez returning in time for United's final two league fixtures against relegation battlers Huddersfield Town and Cardiff City. The club could well be looking forward to an FA Cup final as well, but any setback in his recovery could mean Sanchez has played his last football of the season. Kevin Palmer Manchester United midfielder Nemanja Matic has claimed he is ready to accept the blame for his side's lamentable display as they lost 4-0 at Everton on Sunday. Jim White Manchester United legends launched a blistering attack last night on the team's performance at Goodison Park, one that former defender Gary Neville labelled as "rancid" and "embarrassing".